Ortofon have just updated their DJ Needle range with the trimmed-down, but much-improved MKII series. With the new range, Ortofon have gotten rid of the BIGGEST problem the Concordes had: the finger lifts can now be replaced if you snap them! Not only this but they have managed to upgrade the specs so that these needles now perform on par with hifi needles in ways that only massive hifi nerds are interested - but it's a good thing, trust us. The range consists of five items but we stock only three of them. The MIX (entry-level), the SCRATCH (spherical for amazing tracking (and great sound) ) and the CLUB (elliptical with superb definition (and great tracking)). There's a digital one (but we don't care) and there's one up from entry-level that does nothing more but costs more. With the update of the Concordes, Ortofon radically stripped back their half-mount range. Half-mounts fit on a standard half inch mount headshell. They are by far the most common headshell. 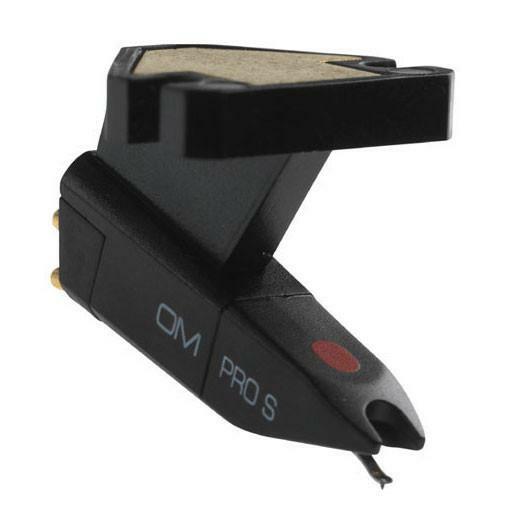 So Ortofon basically left the least and most expensive hafmounts in the range and we stock the least - the Pro-S, because really, it's all you need - this is why people have been DJing with them unchanged for decades, and if you are going to spend bigger money, go Concorde. We do stock replacement styli for the whole old range and Ortofon have committed to continuing manfacture of these.